The funds are earmarked to be used to benefit Special Needs Foundation Cayman with on-going community efforts and upcoming summer camps. The foundation supports all aspects of special needs: autism, attention deficit, learning disorder, down syndrome and a range of learning and/or developmental disorders. 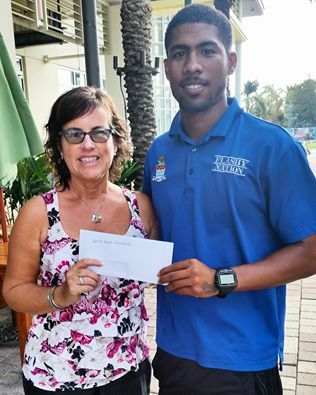 Director of FNSports Kendall Ebanks said, “We love to give back and I always feel it's the best thing to do, it’s a good feeling being able to help out the children of our community".